Yesterday, the House JCAB met and passed several "revenue measures" (i.e. 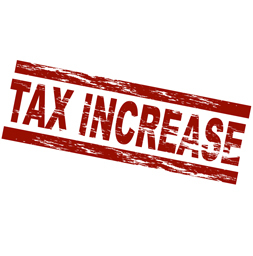 tax increases) related to the Fallin/Step Up Oklahoma plan. Among these was HB1037XX, which I wrote about in Fallin/Step Up income tax hike is higher than we're being told. HB1037XX was originally a major income tax hike for lower- and middle-income families in particular. The good news is that that language was stripped from the bill in committee yesterday - a small, temporary victory for taxpayers. However, the language was replaced with changes to the standard deduction that will still mean a triple-digit tax hike on single individuals making over $25,000 or married couples making over $50,000. HB1037XX leaves the standard deduction in place for single individuals who make less than $25,000, for married couples filing jointly who make under $50,000, and for head-of-household filers who make less than $37,500. Current bill language does not change the income tax brackets or remove the personal exemption like the previous language did. It does, however, unnecessarily render our income tax even more complicated that it currently is, in addition to raising taxes. Single-filers who make over $25k would pay an additional $55 in income taxes. HOH-filers over $37,500 would pay $82.50 more, and married-filing-jointly over $50,000 would pay $110 more. The fiscal analysis for this current language estimates it would raise $41M in income taxes for FY2019. I'll post more on the other tax hikes passed by the House JCAB later.